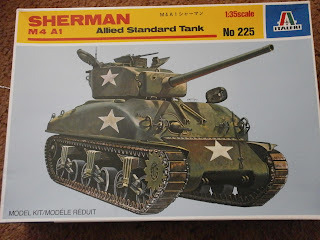 I've always thought that the Sherman was a bit of minefield to model. With it being so prevalent in all theatres and its variants used, your modelling options are endless. I found this site really good at ironing out the details and when they came about. If you know of any other similar sites for different tanks then let me know! I have one of the ancient Italeri kits already built that I am going to use as a dummy model for practicing some techniques. No detailing done on it, just out of the box. 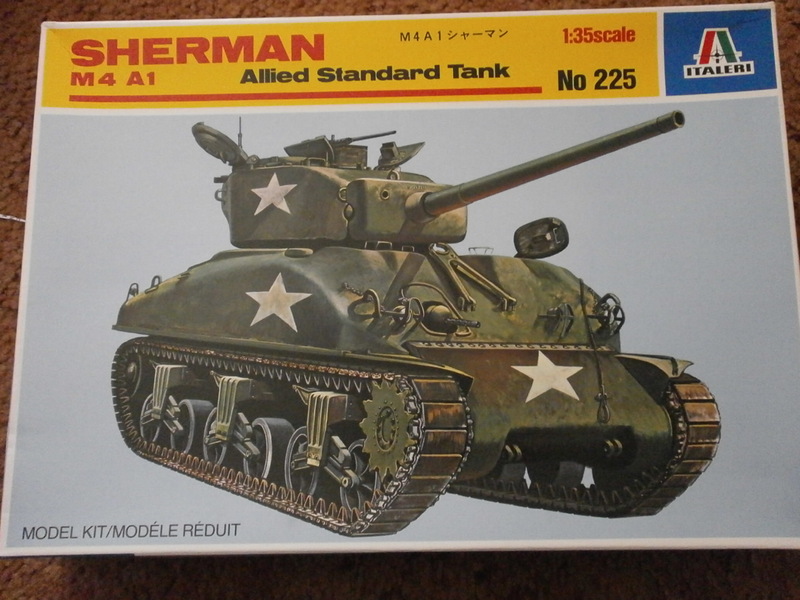 Straight forward build but I'm sure it's got a good few inaccuracies on it as some parts are very chunky and there is no room to fit the nasty vinyl tracks so will leave them off.